Your product descriptions might not seem like a huge deal, but they can make or break your sales. Sure, you’ve got a great product and that speaks for itself, right? Wrong. The way you describe your item makes all the difference. 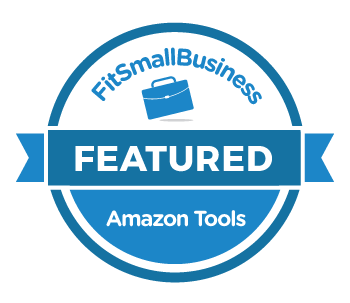 There is a ton of competition on Amazon, and bored or confused users will simply click away from your page if you don’t know how to speak to them effectively. Here are some tips and tricks to write high-ranking Amazon product descriptions. It’s critical you get to know your customer so that you can connect with them in your writing. “Do some research and gather enough data so that you can communicate in a way that resonates with them. Consider factors such as gender, income bracket, interests, and online presence,” suggests Marcella Bowers, content writer at Assignment Help. Check out product reviews on your competition’s sites to see what people like and don’t like. Scour through places like YouTube and see how people are using the kinds of products you sell; you might find people are using your product for purposes you weren’t aware of. And that can be incredibly useful for your descriptions. Your keywords need to be a reflection of what your customers are interested in. Use keywords from the bestseller categories, since you already know these are things people are searching for. For each category relevant to your products, determine the top ten selling items. Look at their pages and see what kinds of words are used in their titles and descriptions. Add these words to your keyword list. Use different variations of longtail keywords to increase your chances of success. Don’t forget to update your list regularly. Have separate lists for each of your products. Keep your descriptions short, simple, and to the point. You’ll also want to keep your titles short, try to aim for under two hundred characters, including spaces. If you have a long description, write it in point form, rather than a wall of text. People don’t want to read an entire paragraph. Chances are they are close to deciding on a purchase and just scanning for a few key things. Don’t scare them away with an essay on your product. Generally, it is best to steer away from long descriptions altogether, be they in paragraph or point form. Your best bet is a very short paragraph of a few sentences. Go over your descriptions and eliminate every time you repeat yourself. You might think it’s important enough to bear repeating, but it is always better to keep it short and sweet. Don’t make the common mistake of getting bogged down with a lengthy list of product features. Yes, your product has a ton of great features, but that’s not what catches a buyer’s eye. It’s all about benefits, tell the customer what’s in it for them. What problem does your product solve? How will it improve their everyday lives? A lot of people won’t even know what to do with the specs you’re throwing at them. Help them imagine themselves using your product and being better off for it. Talk about the new things they’ll be able to do because of your product. Writing effective product descriptions requires solid writing skills. Why not get some extra help to make sure you’re up to the challenge? These resources can help you take your writing to the next level. ViaWriting and WritingPopulist – Try out these grammar resources and rest easy that everything you write will be grammatically correct. Don’t risk leaving in a grammar error and looking like an amateur. PaperFellows and UKWritings – These online proofreading tools take all the stress out of editing your work. They are guaranteed to work and have been reviewed in UKWritings review. StateofWriting and AcademAdvisor – Go through these writing blogs and inform yourself by reading all the useful suggestions. Make yourself a better writer by learning from other writers. EssayRoo and BoomEssays – Use these editing tools, reviewed by AustralianReviewer, and make your whole editing process easier and more effective. A single typo can discredit your writing, so let the pros help. MyWritingWay and LetsGoandLearn – These are writing guides full of useful tips and tricks on how to improve your writing process. Amazon is a huge market with a ton of competition, so you can’t rely on your product selling itself. You need to write effective descriptions that bring people in, give them the info they need, and end before the customer gets bored and clicks away. Grace Carter is a tech editor at OX Essays and Big Assignments services. She work on content development, reviews online submissions and curates a team of remote proofreaders. Also, Grace tutors at Academized educational website.